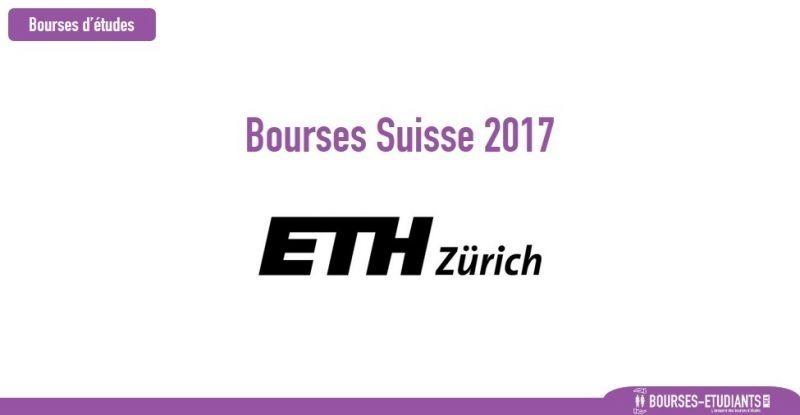 ETH Zurich supports excellent students wishing to pursue a Master’s degree at ETH with two scholarship programmes: the Excellence Scholarship & Opportunity Programme (ESOP) and the Master Scholarship Programme (MSP). The number of annual scholarships depends on the availability of funds. The Excellence Scholarship consists of a grant covering living and study expenses (CHF 11,000 per semester) as well as a tuition fee waiver. The Master Scholarship consists of a partial stipend for living and study expenses (CHF 6,000 per semester) as well as a tuition fee waiver. The department can additionally provide a scholarship of CHF 1,500 – 3,000 per semester or offer an assistantship from the second semester onwards (with a payment of CHF 600 per month). The Master Scholarship Programme requires a financial contribution from the scholarship holder. Both the Excellence and the Master scholarships begin when the student commences his or her Master’s degree and is awarded for the regular duration of the Master’s programme (three or four semesters). The scholarship programmes are open to excellent students both from the ETH and from other universities (national and international) wishing to pursue their Master’s degree at ETH Zurich. The prerequisite is a very good result in their Bachelor’s. Students must belong to the best 10 percent of their Bachelor’s programme. You can only apply for an Excellence Scholarship & Opportunity Programme or a Master Scholarship Programme if you, at the same time, apply for a Master’s degree programme at ETH Zurich (or if you, as an ETH Bachelor student, continue with a consecutive Master’s degree programme). The application deadline for Master programmes starting in 2017 is 15 December 2016. It is important to visit the official website to access the application form and for detailed information on how to apply for this scholarship. Bourses-etudiants.ma est l'annuaire des bourses d'études au Maroc et l'International. Le site référence gratuitement l'ensemble des bourses pourront intéresser les étudiants marocains et étrangers afin de leur faciliter l'accès aux aides et financement pour réussir leurs études. © Bourses-etudiants.ma - Tous droits réservés.